This statistic shows the share of customers in North America who pay for premium sports TV programming in the fourth quarter of 2015. 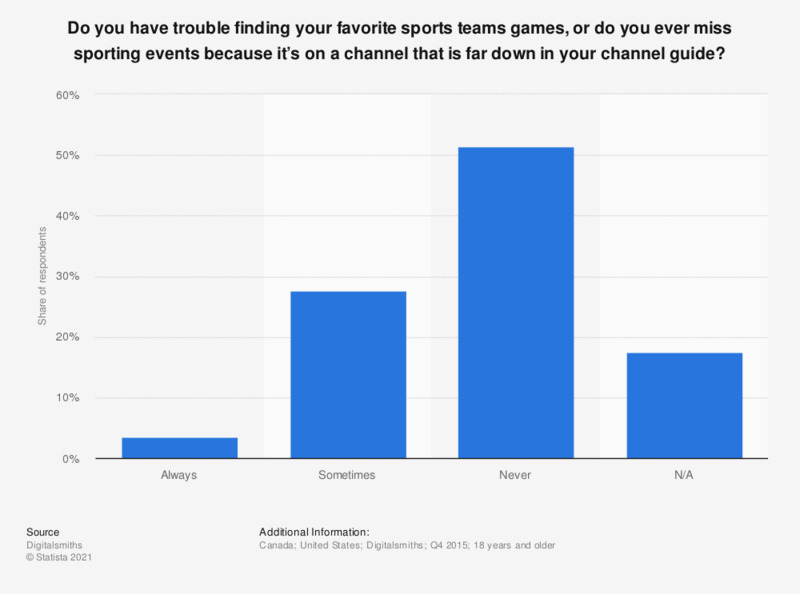 To the question whether they had missed any of their favorite team's games or missed sporting events due to the large amount of channels provided, less than 30 percent answered they sometimes encountered these difficulties, while almost 52 percent answered they never experienced these problems. When watching television content, what percentage of time are you watching the following methods of programming?